Most of what I listen to these days is jazz, mix between old and new school. 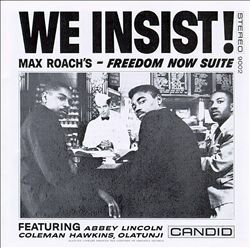 I’ve heard of Max Roach but didn’t know much about him. Going to see Preservation Hall Jazz Band soon! Best to you in the new year, Denise. You remind me I need to listen to that new Pres Hall recording. Enjoy, and back at ya for a fine 2014, Jeff.